This is the first of many companies Tech Habor will be focusing on “TRUE” Ghanaian innovators in our growing Tech and manufacturing industry. Apostle Dr. Kwadwo Safo, founder and leader of Kristo Asafo Church and the KOSA Group is first on our list. A pastor is perhaps an unlikely candidate to become Ghana’s first car manufacturer. But that’s what Kwadwo Safo who is known locally as the “Star of Africa”, has done. And the inventor has become something of a legend in Ghana. Safo started his family business, Kantanka, 20 years ago, making electrical devices from TVs and sound systems to musical instruments and sewing machines in the country. As a child he had a knack for building things, and before becoming a pastor he trained as a welder. “(My father) had ambition and foresight. 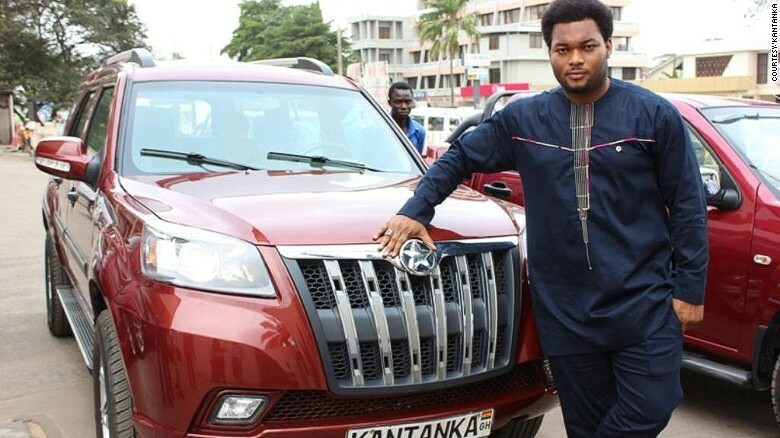 He thought of everything in preparation of Kantanka,” says Safo’s son, Kwadwo Safo Jr.
Today, Kantanka Group is split into an electronics division and a car manufacturing company Ghana’s first car-maker. Kantanka is a household name in the Ghanaian manufacturing space and deservedly so. With some prominent political figures, celebrities in Ghana acquiring some vehicles in the Kantanka range, we are assured that the KOSA Group is working hard to expand all over Africa in less or no time. Tech Habor salutes and supports Ghanaian innovation. Send us your comments and suggestions of great Ghanaian Innovators out there an we will gladly write about them. Previous article 32-Bit Vs 64-Bit Windows Operating System: What Is The Difference? How To Choose?